In the historic recent midterm elections—where 7 governor’s seats and 7 state legislatures switched from Republican to Democrat—voters continued to voice their strong support for renewable and advanced energy. In addition, voters split on several key ballot initiatives in WA, AZ, and NV. Eight newly elected and one re-elected governor campaigned with a clean energy platform and have a near-term opportunity to set the agenda, work with legislators, and attract billions in new utility-scale solar investment through renewable portfolio standard (RPS) expansion policies. First, of this cohort, three governors inherit state RPS policies that reach their terminal year during their first terms: CO, NM, and MI. An additional three states are approaching their current RPS target deadline in 2025 (which would be the second gubernatorial term from today): IL, NV, and MN. Second, in four of these states—NV, CO, NM, and IL—the elections produced “trifectas” where Democrats control all three branches of government, a political environment favorable for advancing clean energy policy. Governor-elect Jared Polis (D) campaigned on arguably the most-aggressive goal: 100% renewable energy by 2040, up from the current mandate of 30%. Polis enjoys a flipped State Senate, leadership at the state’s largest utility (Public Service Company of Colorado | Xcel Energy), and a majority block at the Colorado Public Utilities Commission (PUC) to explore initiatives from renewable portfolio standard expansion, to support for battery storage to meet peak demands, to needed policies supporting electric vehicles. 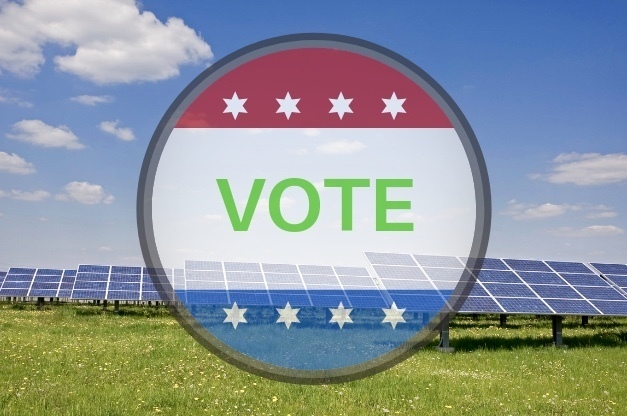 The election builds on the momentum in the Centennial State from the recently PUC-approved Colorado Energy Plan, which set a blueprint for how to accelerate early retirement of coal and procure cheaper replacement capacity from solar, wind, batteries, and gas without expanding the state’s RPS. Governor-elect Gretchen Whitmer (D) follows on Consumers Energy and DTE Electric both issuing historic commitments to expand their procurement of clean energy and efficiency, a horse trade that resulted in the ballot initiative dropping earlier in the year as well as a compromise on PURPA contracts. Michigan lawmaker Yousef Rabh recently proposed a 100% renewables by 2050 requirement, and the state’s 2016 law requiring utilities to develop integrated resource plans (IRPs) inclusive of emerging technology scenarios offer strong signals for momentum. Whitmer’s opponent was a vocal opponent of the Clean Power Plan (CPP); his defeat sends a clear message that Michigan consumers and the utilities that serve them embrace alternatives to business as usual. Along with a newly elected strengthened MI legislature, Gov.-elect Whitmer should applaud the major investor-owned utility (IOU) commitments, and push them to meet those commitments on an expedited schedule and in a manner that expands the amount of cost-effective solar that can be procured from third-party independent power producers (IPPs), not just via utility-owned generation. Governor-elect Steve Sisolak (D) will oversee a state served by a utility that has finally seized the opportunity to serve its largest customers with low-cost, fixed-price solar befitting the resource’s competitiveness in the state. Nevadans supported the expansion of its RPS in 2017 via legislation vetoed by Sisolak’s predecessor and again this week via Question 6 to 50% by 2030. Nevadans also voted to entrust the execution of renewables expansion to the incumbent utility, NV Energy (NVE), by soundly defeating Question 3, which would have forced NVE to divest and join a competitive wholesale and retail market. The move will likely accelerate additional “grid defection” exits from casinos that see a near-term business case to contract directly or through power marketers for new renewables. 2019 will likely see an effort from the legislature to enshrine the RPS push prior to 2020, which Nevada law requires the question to reappear before voters. Sisolak can quickly push for legislation to cement the will of the voters. The choice to do so is by no means radical in light of solar’s competitiveness, a fact that will induce continued expansion and investment of new data centers that purposefully locate north of the Arizona border due to stark policy differences between the two states, made all the more clear by Arizona Public Service’s full-court press to defeat Prop 127. Governor-elect Michelle Lujan-Grisham (D) won via a platform that included supports for a 50% RPS requirement by 2030, up from 20% for the state’s IOUs, and 10% for the co-ops. Lujan-Grisham joins a Democratic legislature that attempted to pass an overly ambitious expansion in 2017 to 80% but failed due to lack of support at the executive office. NM is most likely of any state to enact RPS expansion in 2019 based on these tailwinds. Importantly, NM’s coal-fired San Juan Generating Station’s pending 2022 retirement represents an opportunity to resuscitate and modify previous attempts to support the local host community around the coal plant, potentially by enacting new finance-based solutions such as those proposed in Colorado. Governor-elect J.B. Pritzker (D), who supports 100% clean energy, takes the reigns of a state whose solar and wind development transformation is already under way as 2016’s Future Energy Jobs Act (FEJA) takes effect. Implementation of the bill has been bumpy, however, as pent-up demand resulted in auctions for community solar, and the state’s Illinois Commerce Commission (ICC) is openly exploring exit from PJM due to the RTO’s ongoing efforts to consider renewable and zero-emission credit subsidy impacts on capacity market constructions. FEJA was a compromise effort to keep the state’s nuclear industry afloat; Pritzker’s initiatives are likely to embrace a definition of carbon free or clean energy that explicitly includes nuclear. Though not newly elected, Kate Brown (D) supports 100% renewables in a state that was once the vanguard for solar development under PURPA, but has since shut down that path via punitive contracting terms, and is in the midst of transition as the state’s largest utility continues to block a study showing clear cost savings associated with retiring much of its aging coal fleet. Oregon can also significantly expand its small storage mandate that the IOUs have already met. MN’s Tim Walz (D) joins a flipped MN House. Walz, a former school teacher, is focused on education, but is also interested in expanding the state’s renewable energy standard (RES) to 50% by 2030, up from the current achieved rate of 21%. MN’s Xcel Energy is the national leader in wind energy sales, and is pivoting its focus to solar through its operating companies Public Service Company in CO and Northern States Power, which has brought on a record amount of community solar. The state will need to ramp up utility-scale solar, which has a higher capacity value than wind, in order to meet its ambitious targets. Governor-elect Rick DeSantis (R) supports diversifying Florida’s energy resources and customer choice without mandates, a common position among Southeast states. The size of the opportunity in Florida is such that even this measured support should be embraced by the industry to push for meaningful action on wholesale competition. The recent 10-year site plan does contemplate a 44% increase in solar, but the utility’s plans for continued (over)investment in large imported natural gas exposes ratepayers to gas’ price volatility. Opening the market to competition from IPPs to generate more solar in-state can yield tremendous growth and better prices and services for FL’s customers, shielding its economy from risk, and building on the momentum created by the FL PSC to open third-party leasing to residential customers. Maine’s new governor-elect Janet Mills (D) takes over from an administration resistant to renewable energy (for example, taking actions including a wind moratorium in the state). Outgoing governor Paul LePage has been famously anti-renewables, such as vetoing a popular bipartisan bill that would have expanded solar energy in the state. Refreshed leadership under Mills is far more likely to sign an RPS expansion package. We look forward to continuing to work with our partners at AEE and ACORE—who provided extremely useful info contained in this article via 2018 election recaps—to work with this bloc of new governors toward a comprehensive energy reform agenda. Matthew Crosby is policy director at Coronal Energy.